A common frustration for many guitar players is inability to find their way around the guitar fretboard and feeling hopelessly “lost” when improvising guitar solos or doing anything creative. Does this sound familiar? If you have tried to memorize the guitar fretboard in the past and failed to do so successfully, you may think that it’s difficult or impossible to develop this skill and give up on trying to improve it. It’s overwhelming to stare at the fretboard and wonder if it’s even possible or realistic to memorize every note on the guitar. The truth is that memorizing the guitar fretboard doesn't have to be a frustrating process. 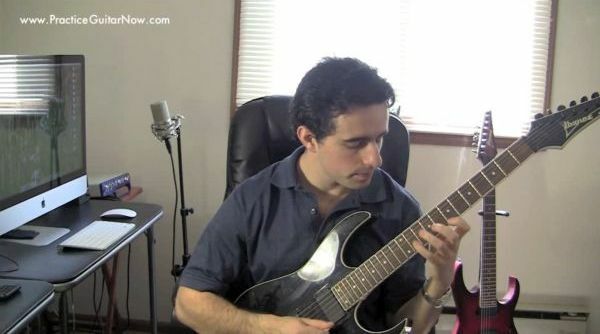 It is very possible to practice this skill in way that will not only help you to become a better guitar player but will also help you to have fun along the way. To watch (for free) this special video about learning the guitar fretboard, simply enter your name and e-mail address below and click the button: "Show Me The Video Now"